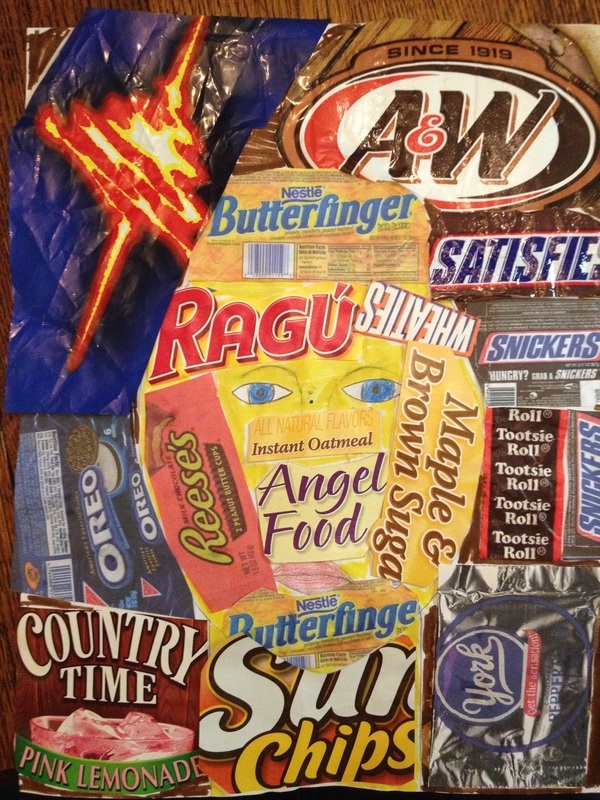 research the Art Elements then create, present, respond to and connect with my artwork. 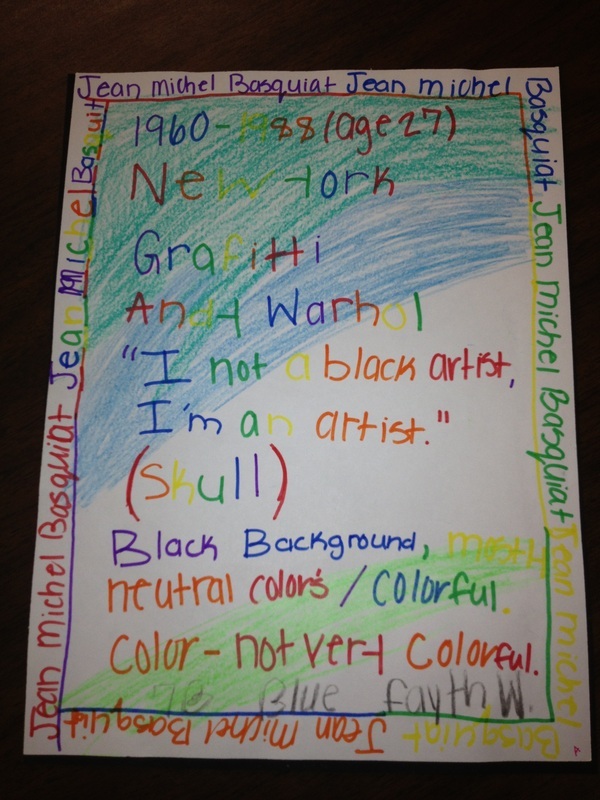 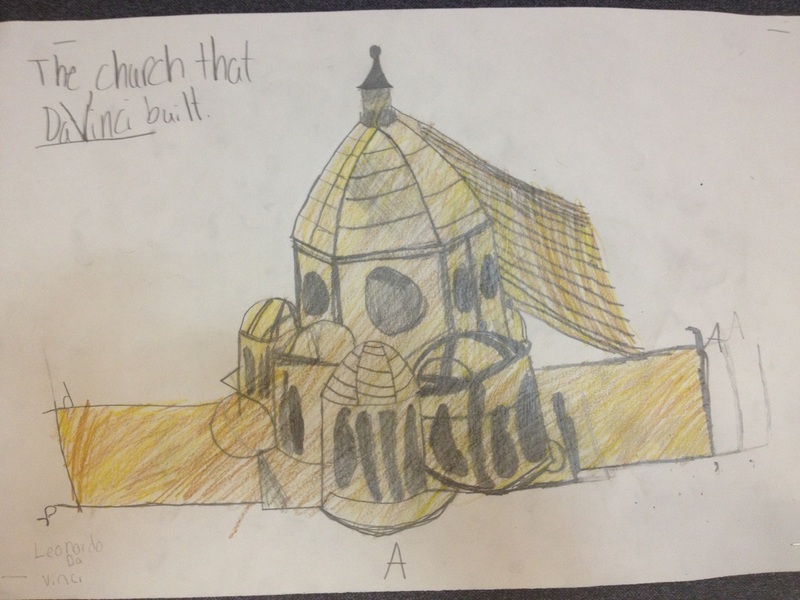 I can use unit vocabulary to describe how an artist applied art elements in their artwork. 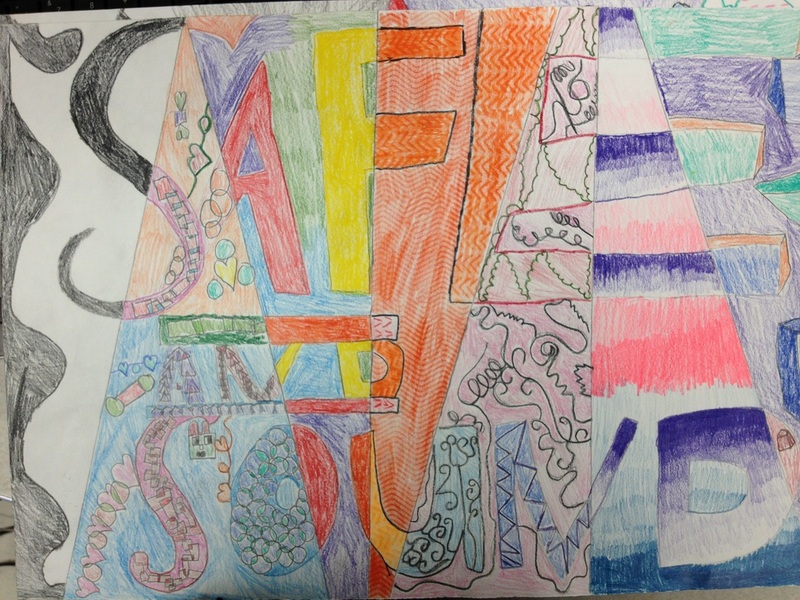 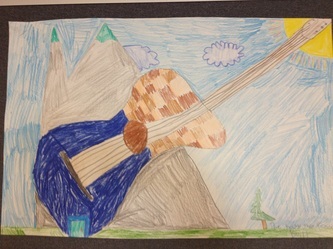 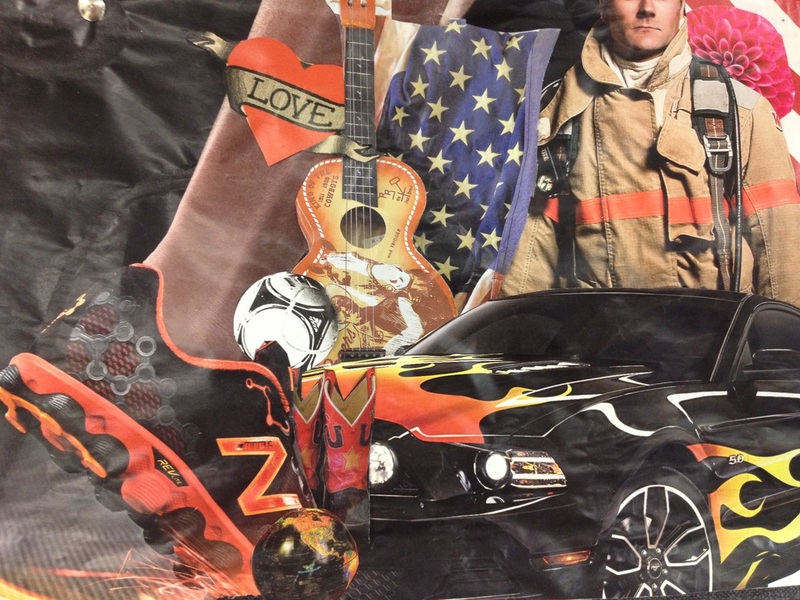 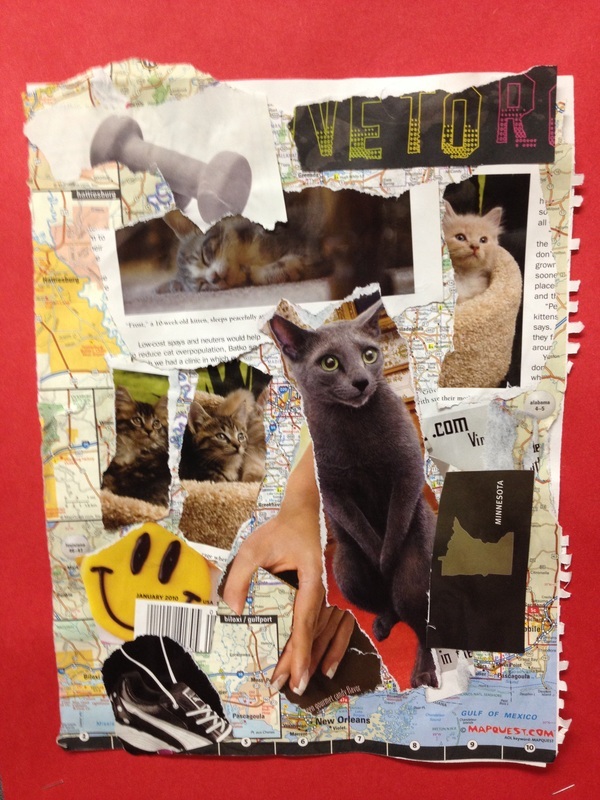 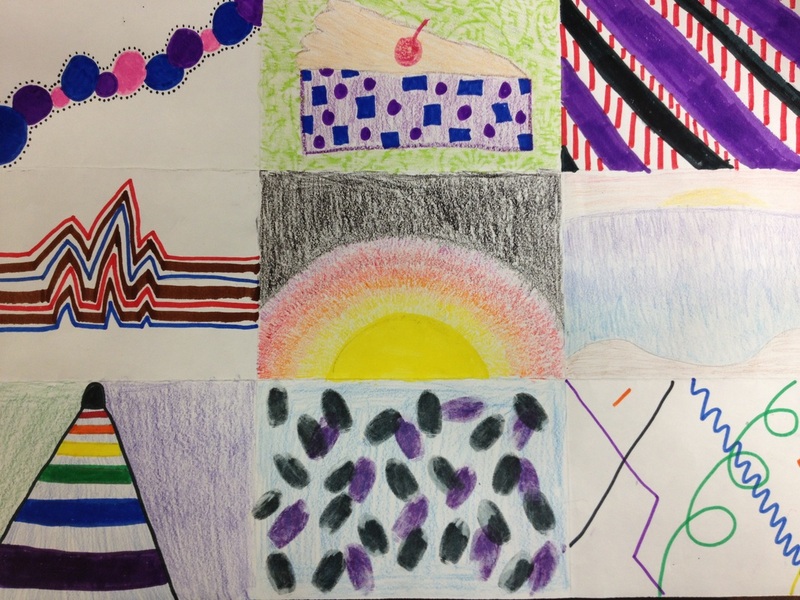 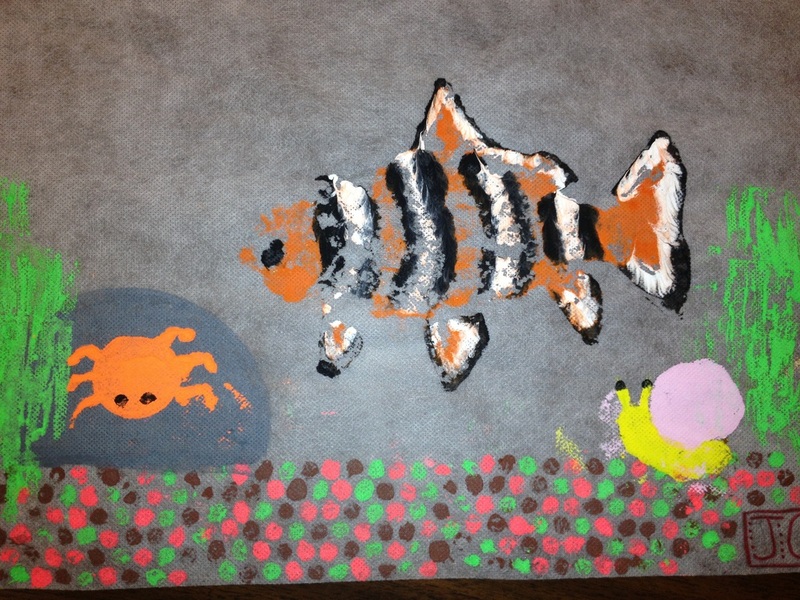 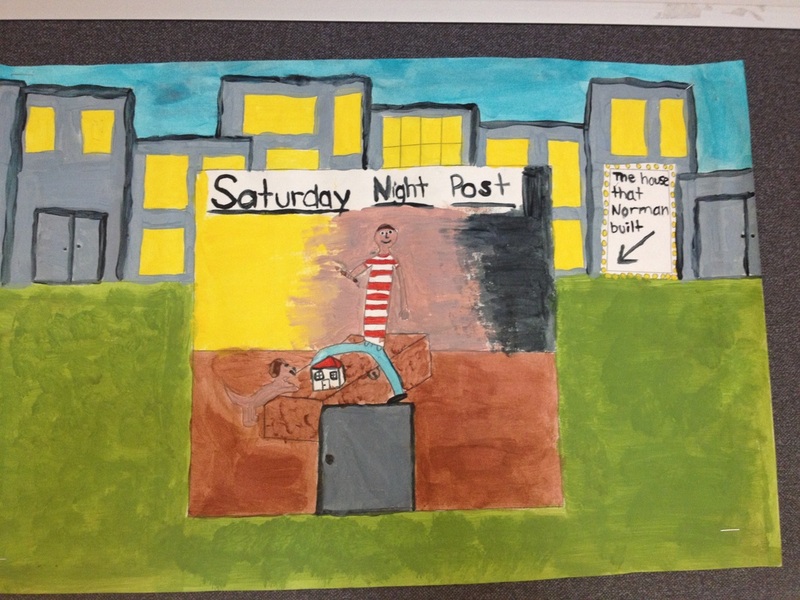 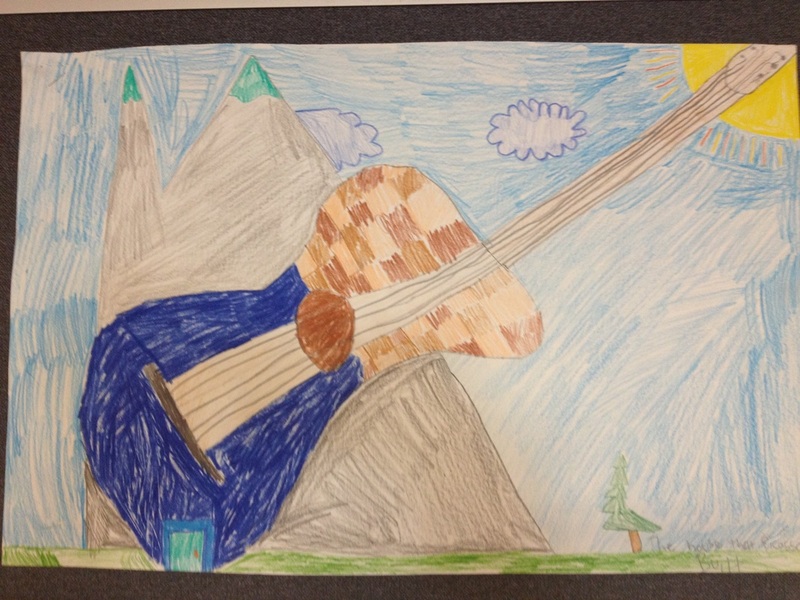 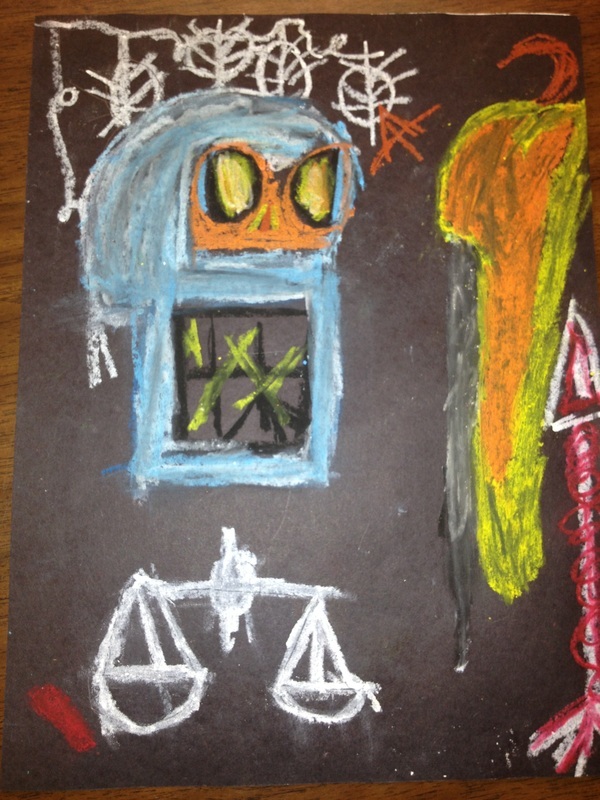 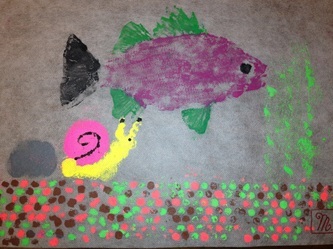 Students create design compositions to illustrate the elements and principles of art. 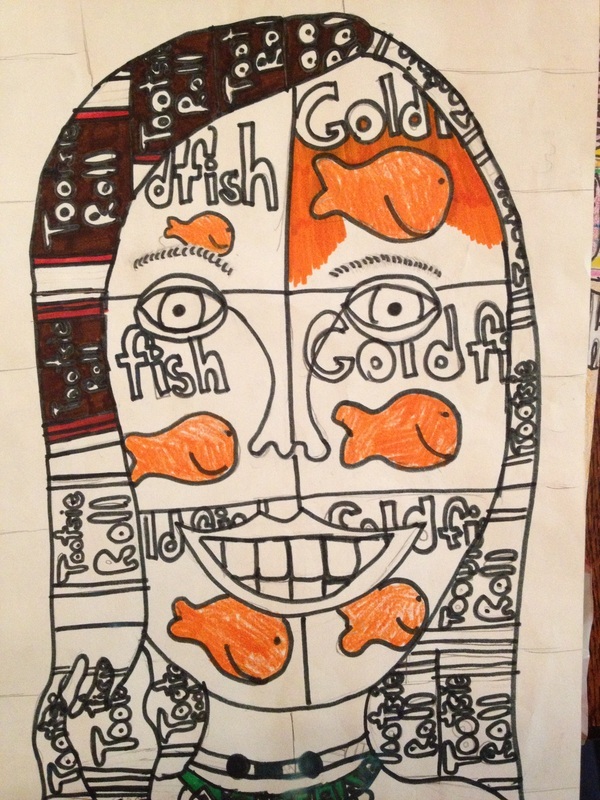 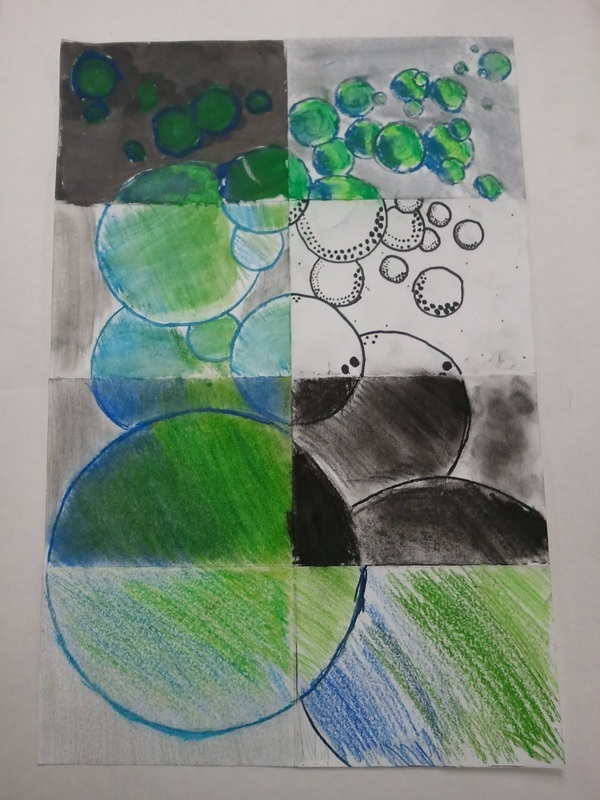 Students learned about Art Elements, then illustrated each element on their favorite phrase; challenge involved addressing the principle of contrast. 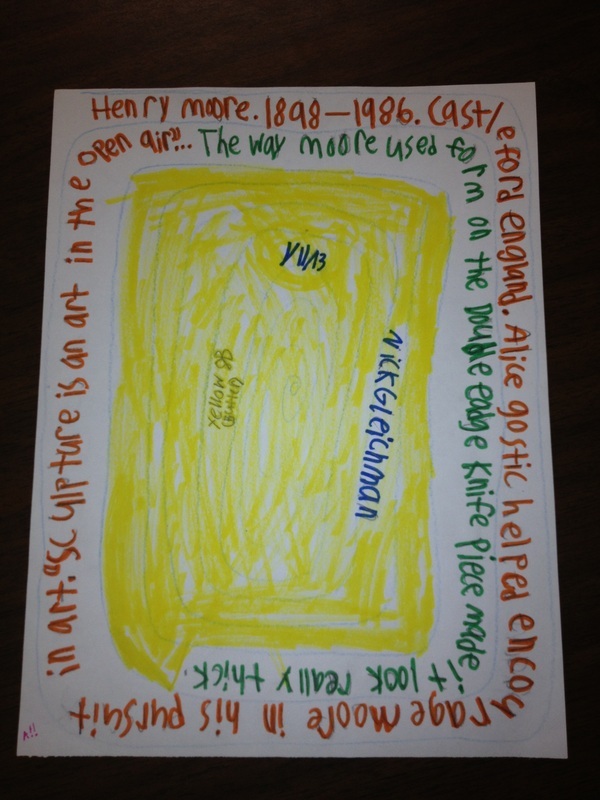 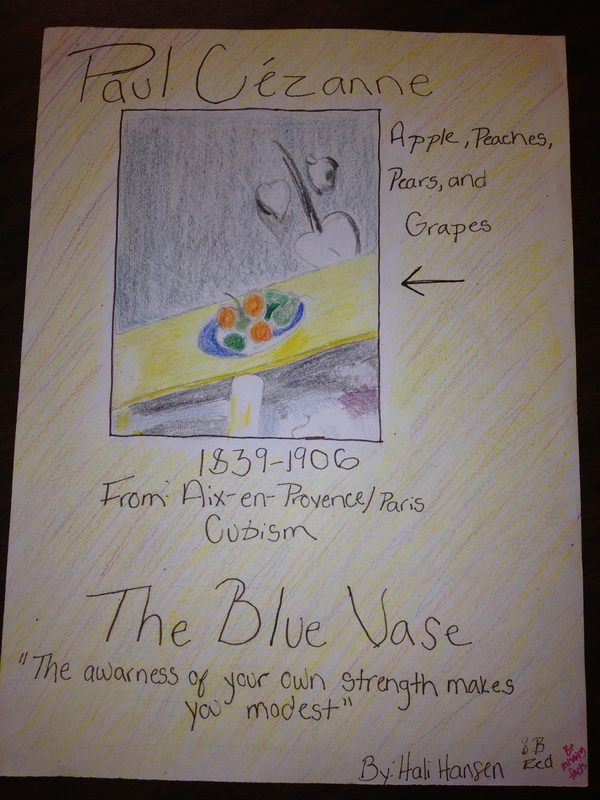 Students research the elements of art and create a themed book to teach others about the Art Elements. 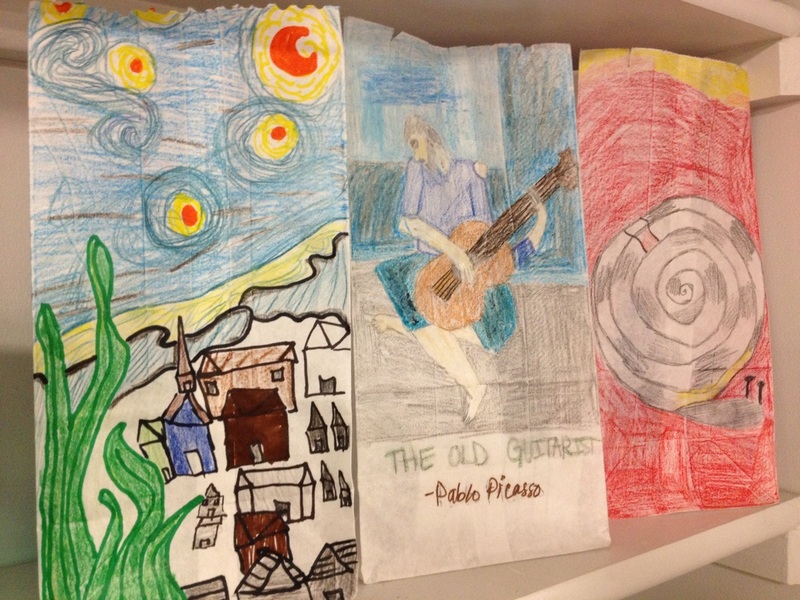 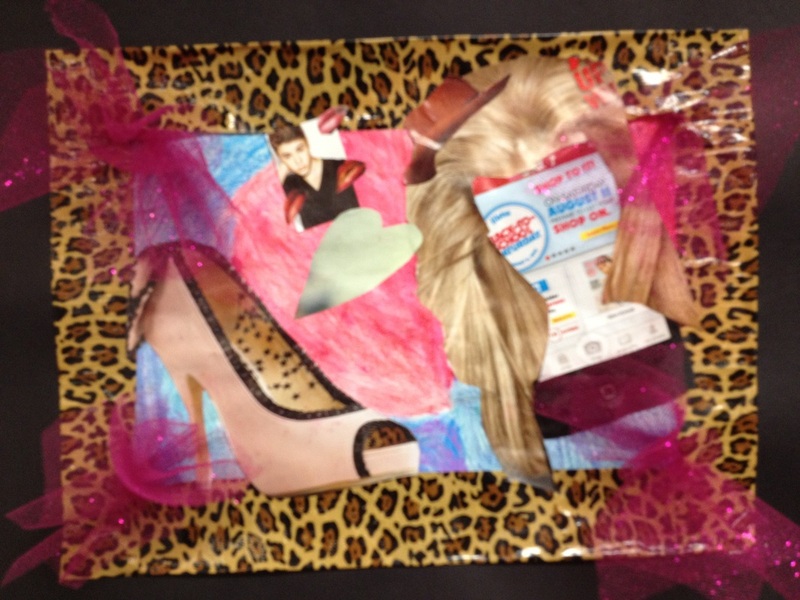 Students researched an artist and created an Artist Bag project. 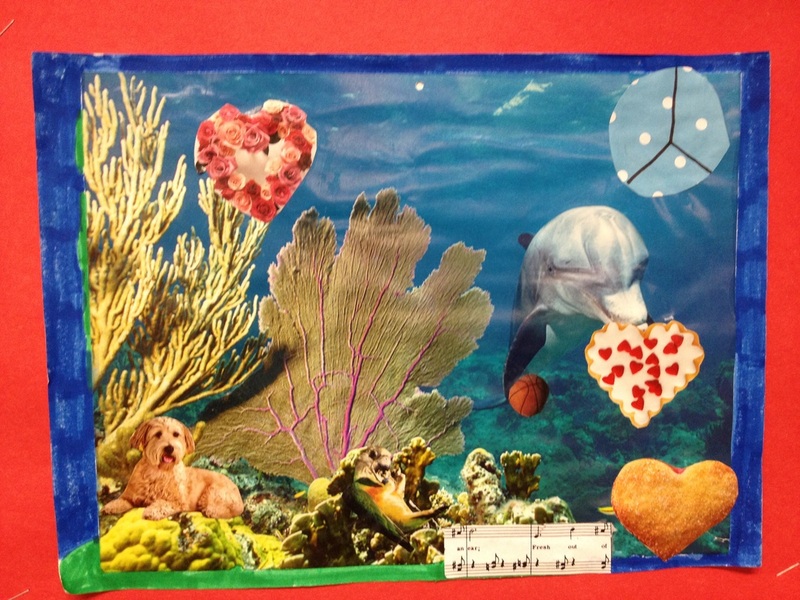 Challenge: Transform a white lunch bag into a symbolic representation of the artist with factual information on the bag; three required items inside the bag. 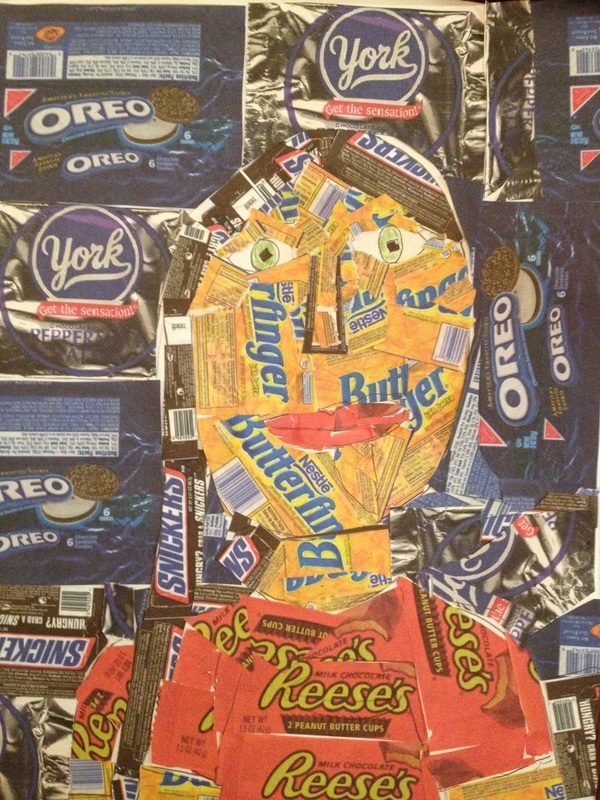 To the left: Van Gogh (one item inside the bag- a fake plastic Halloween ear), Picasso (a face drawn onto a miniature cube inside the bag), and O'Keeffe (a miniature plastic flower). 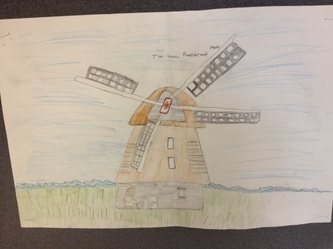 Very creative 6th graders! 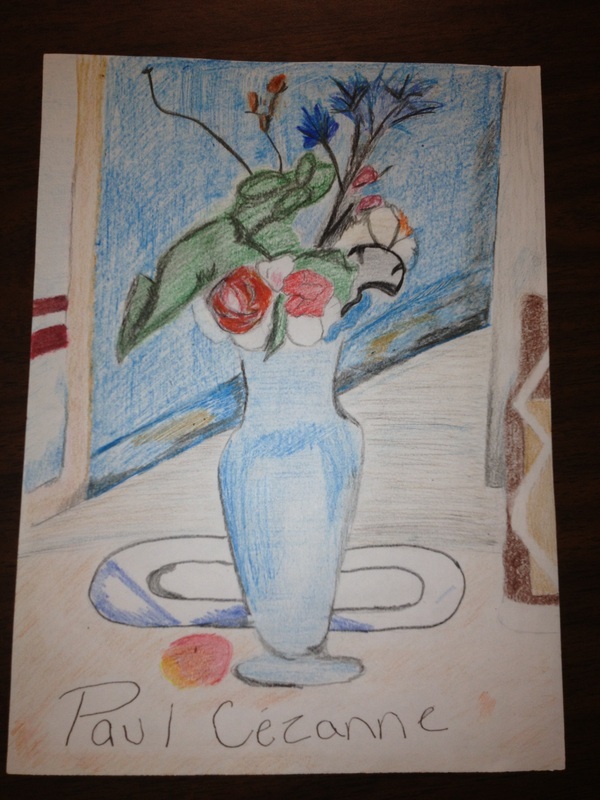 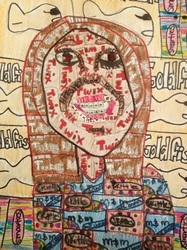 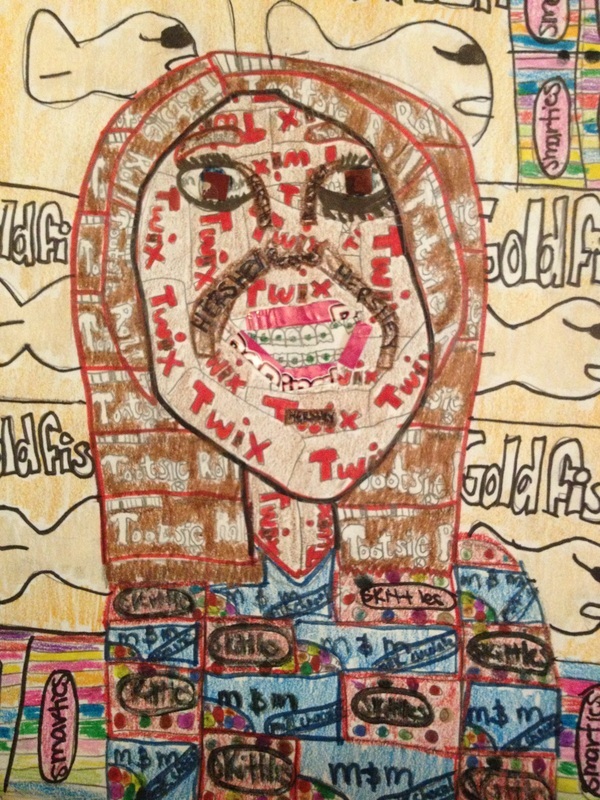 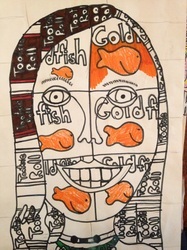 Students researched an artist and created a trading that best represented the artist. 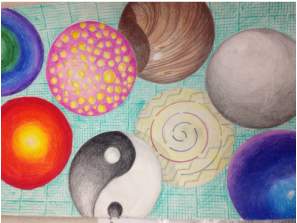 Student examples below: front and back, side by side. 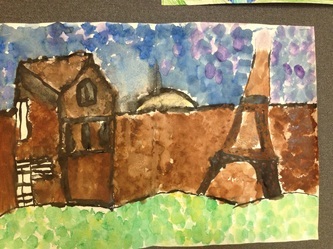 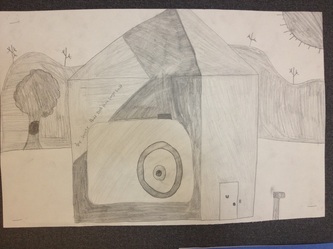 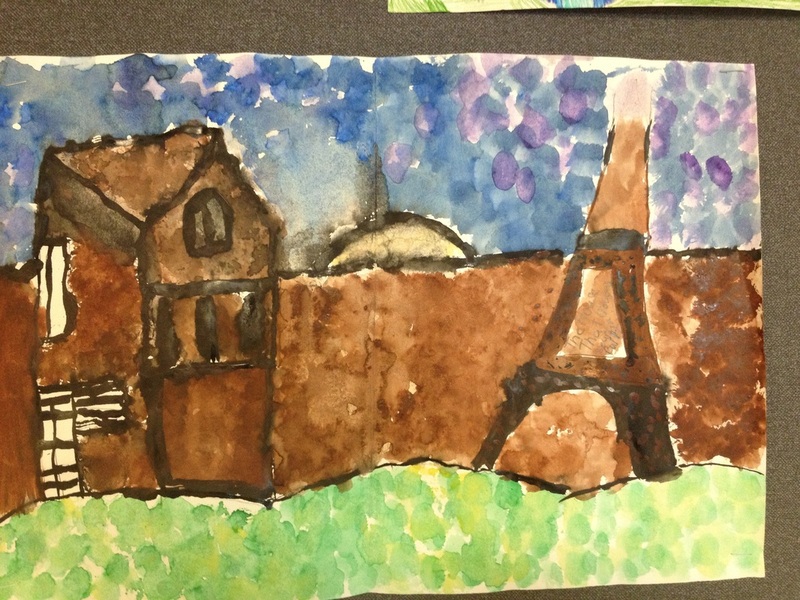 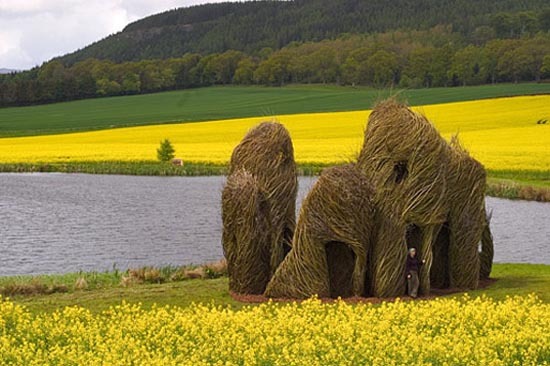 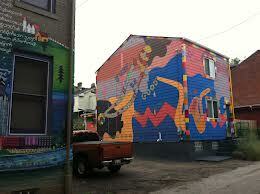 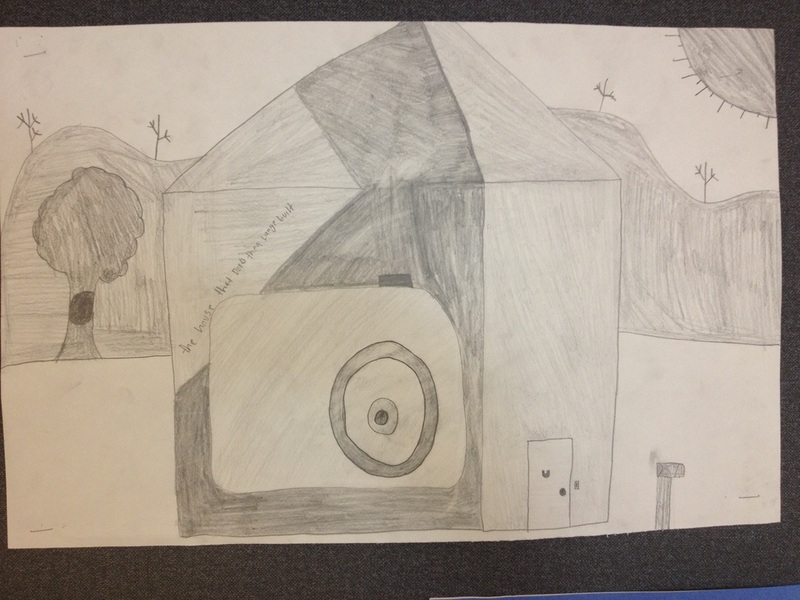 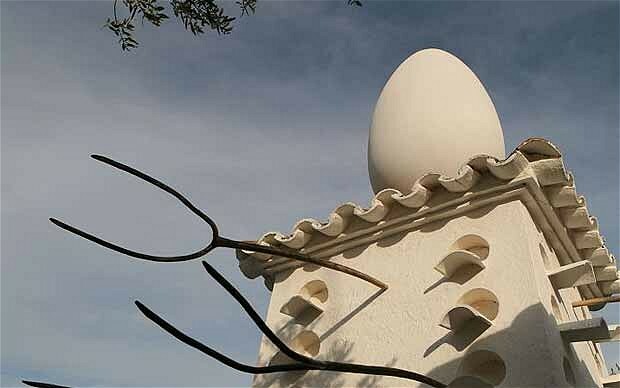 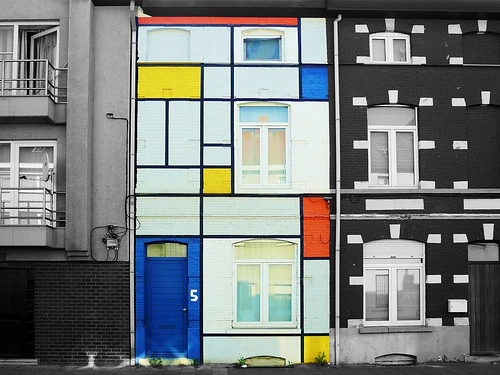 Students research an artist and create a house the artist would live in. 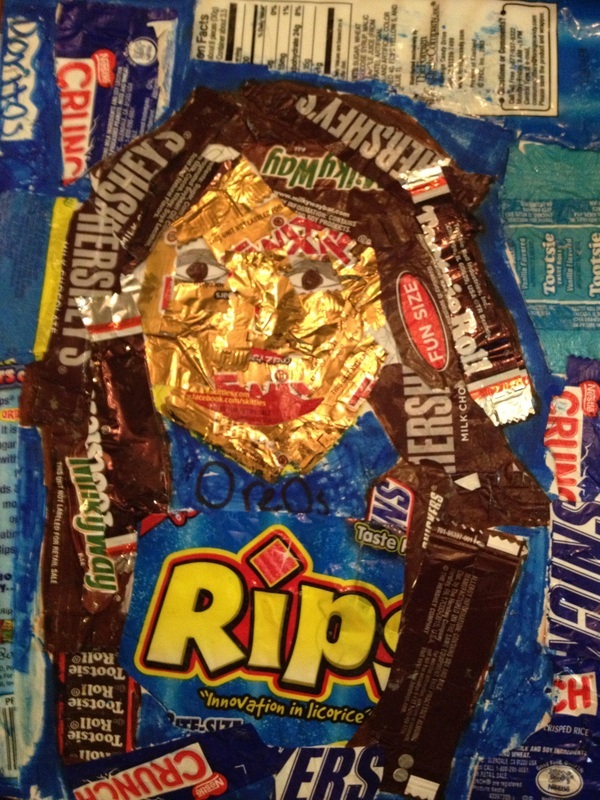 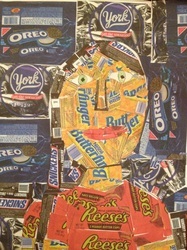 Students bring in wrappers, print off wrappers, or create drawings of wrappers of their favorite snack foods and create a self portrait. create, present, respond to and connect with a project about a given topic, theme, or subject. 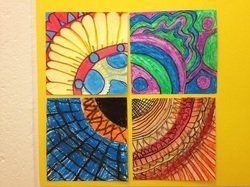 Students designed a quarter part of a mandala (circle) to piece together to make a group mural. 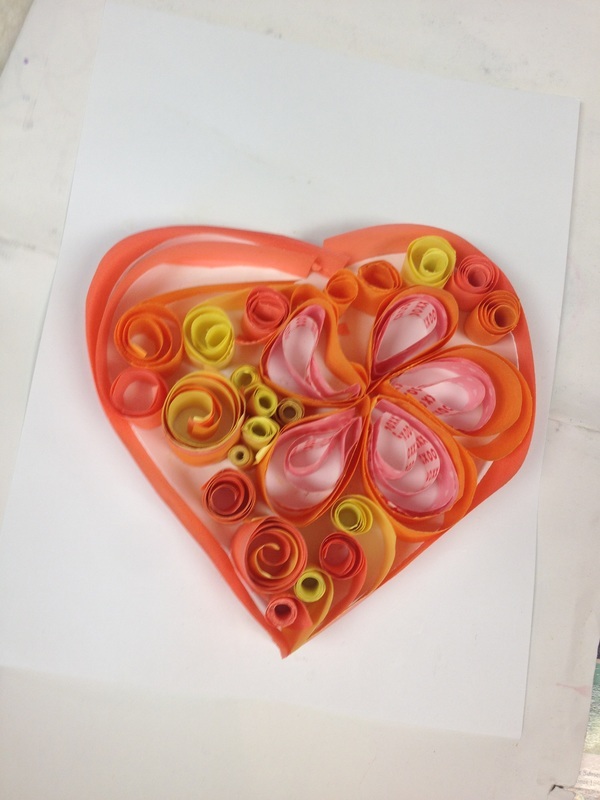 Students will create a quilling project after making connections to other cultures and learn how quilling could help the environment. 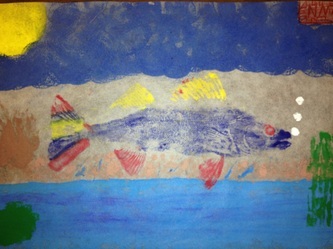 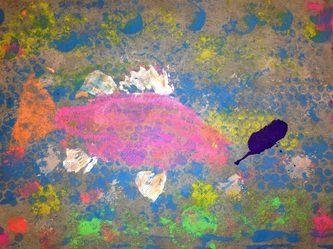 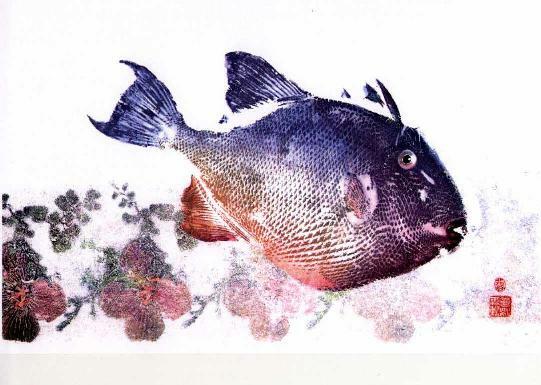 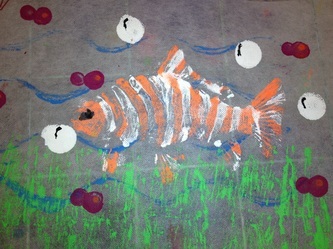 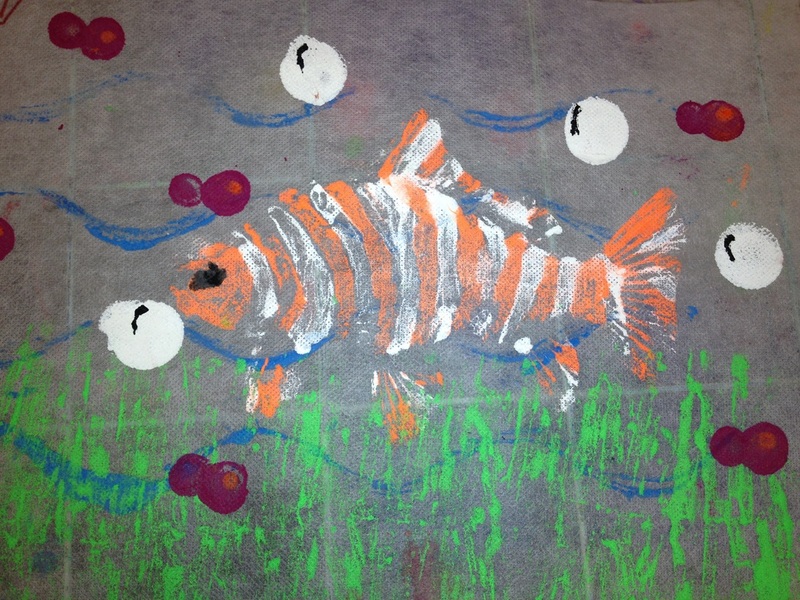 After researching the Japanese art form of fish printing, students will create their own fish prints and chop style siganture.